We are currently recruiting patients, carers and health care professionals to take part in focus groups to develop our understanding of the information that is already available about coordinated care for rare diseases. The findings of the focus groups will inform the development of a survey which will be sent to patients, carers and health care professionals later in the study. Read the full advert for patients and carers here. Read the full advert for healthcare professionals here. Although good examples of coordinated care exist, there are still serious failings in how care is coordinated for many with rare diseases (including undiagnosed genetic conditions). Many patients do not receive care at a specialist clinic or have access to a named care coordinator, and they have no choice but to become a ‘project manager’ of their own healthcare. Clinic appointments can be frequent and involve significant travel. The UK Rare Disease Strategy (published in 2013) said that it was essential to coordinate care for people with rare conditions and more needed to be done to improve coordination. Unfortunately, there is no strong evidence as to how this should be done for different patients and further research in this area is needed. 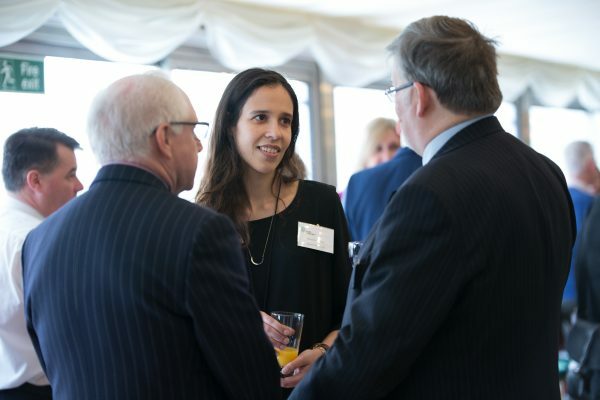 Genetic Alliance UK are part of a wider team of academics and experts in rare diseases addressing this gap through a new research study, COordiNated Care Of Rare Diseases (CONCORD). The study, beginning in June 2018, will run for two and a half years and is funded by the National Institute for Health Research (NIHR) Health Services and Delivery Research Programme. The study is led by Professor Steve Morris, a health economist at UCL. To undertake a review of published evidence to identify in detail what ‘coordinated care’ means, what the components of coordinated care are, and how coordinated care for people with rare diseases might be similar or different to coordinated care for people with other conditions. To understand whether and how care of people with different rare diseases is coordinated in the UK. To analyse preferences for different types of coordination by patients and families, and health care professionals. To develop a detailed map (a ‘taxonomy’) of all possible types of care coordination, based on what currently happens and what patient and professional preferences are. To calculate the costs of the types of coordinated care identified in the taxonomy. To work closely with patients and families throughout the project and disseminate findings widely. The CONCORD research team will do this using interviews, focus groups and workshops (qualitative research) and a survey (quantitative research). We will hold events for healthcare professionals, people who decide how services are provided (commissioners), and patients and families, so they can tell us how to make our findings helpful to them. We are involving patients and family members throughout the study, and establishing a patient advisory group to advise on recruiting participants and interpreting the findings. The advisory group will be run by Lara Bloom (Ehlers-Danlos Society) and Kerry Leeson-Beevers (Alstrom Syndrome UK) who are also members of the research team.